Wonderful experience thank you both BRIAN AND YVONNE for your help! We highly recommmend 400 Chrysler Dodge Jeep for great customer service! No doubt we ll see you soon! 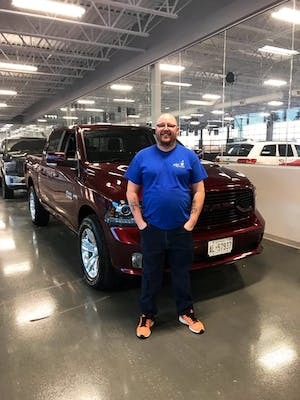 Jessica and the whole 400 Chrysler team was amazing in helping me pick out my Ram 1500! Nothing but good things to say about Jessica and the whole team! Would recommend for anyone looking for a new or used vehicle...lots of selection! Jessica Puddifant is by far the best sales person I have ever worked with! Derek did a great job finding a vehicle that fit exactly what we were looking for. Yvonne was a rockstar working with the banks to get the numbers where we wanted them to be. Even after a few bumps in the road, we managed to walk away with the car we wanted and that was all thanks to Derek and Yvonne! 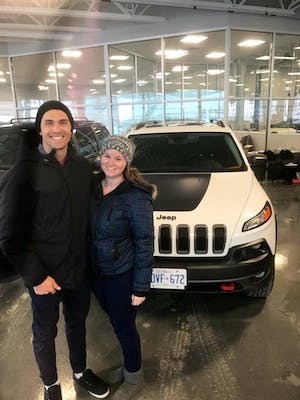 Jessica and the staff at 400 Chrysler provided exceptional customer service when I purchased my Jeep. Jessica not only took the time to listen to my needs but she went out of her way to follow up after my purchase to ensure I was satisfied and offered to answer any questions I still had. Jessica’s authentic yet professional manner made me feel comfortable and safe in making my decision. Thank you for such a pleasant experience! Thanks Tom you and your team are great. I love my truck can't wait to get it on the hyway and crank the tunes. I was happy with both Derick and Yvonne, they were professional and made the buying process easy. 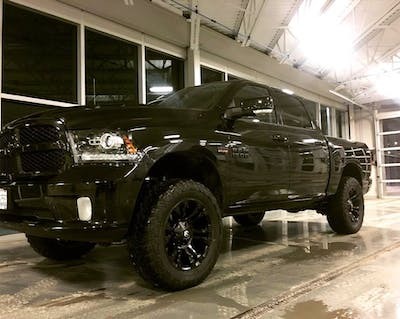 I am very happy with my Ram 1500.